If you haven’t downloaded the Seesaw app, make you download it as soon as you can. My students are posting daily videos and pictures of the work they are completing in class. It is a great way to see what it is like in Mrs. Franks’ first grade classrom!! 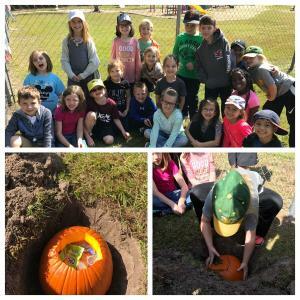 Trash Pumpkin Experiment... what will it look like when we dig it up in April? 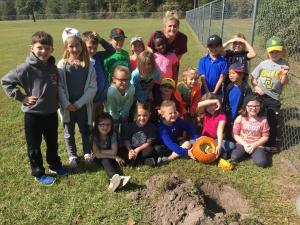 Class picture before we bury the pumpkin filled with trash! 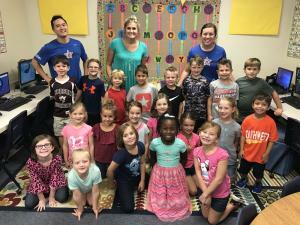 We were so excited to win the "Ninja" award for the Boosterthon! 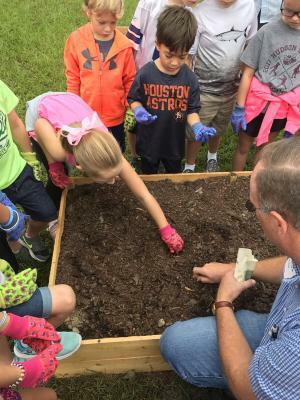 Planting seeds in our garden.